Help you manage the event. Take your split on day of the event - no waiting! Minimum # of guests is 40 kids suggested. Recommended Admission is $15/kid. Pre Planning & Assistance at your event is provided for the 3-hour, private event. 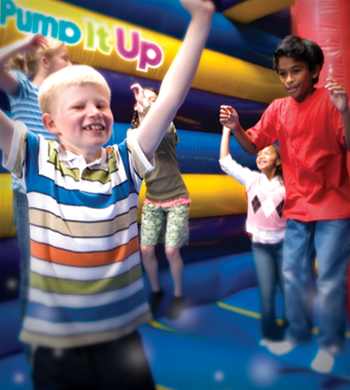 Pump It Up is the perfect place for kid's to jump around with their friends. You can host a completely private field trip for your camp or group. We offer a variety of packages that will fit any budget. Add 2 slices of pizza, a drink, & fruit cup or chips for $3.99 per child! Your Team Party will be a 90 minute private event that includes 1 hour of play time and 30 minutes in a private party room to host your award ceremony or celebrate team achievements. 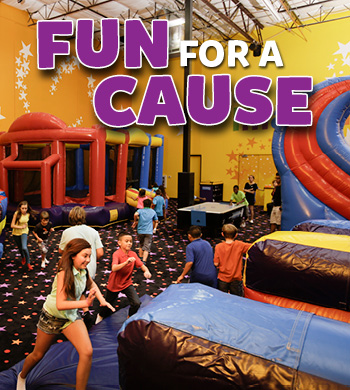 Team Events are $189 for up to 15 kids and include 15 balloons in your team colors & 15 mini Goodie Bags. Additional kids are $12/each. Upgrade with our Meal Deal Option - just $3.99/each - 2 slices of pizza, a fruit cup or chips and a drink! Call to reserve your best Team Party ever! Boy or Girl Scout Troop Party! 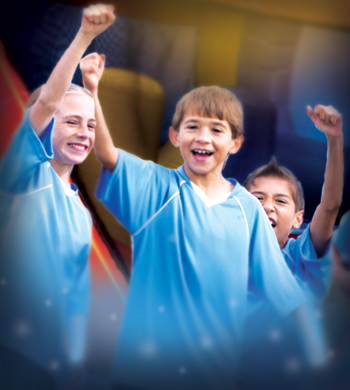 Have your next Scout meeting or celebration at Pump It Up! Your 90 minute private event includes 1-hour of play time in our awesome inflatable arenas, and 30 minutes in a private party room to celebrate achievements, present awards or host an activity to earn a badge. 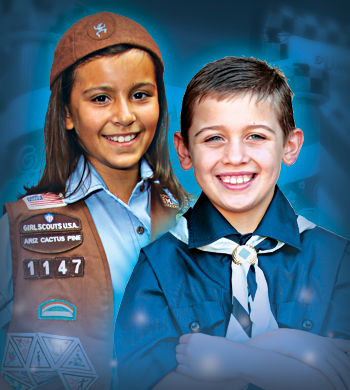 Scout Events are $189 for up to 15 Scouts and includes Play Time, Party Room time, 15 Balloons & 15 Pump It Up Patches. Upgrade with a Meal Deal Option - just $3.99/each - includes 2 slices of pizza, fruit cup or chips & a drink.